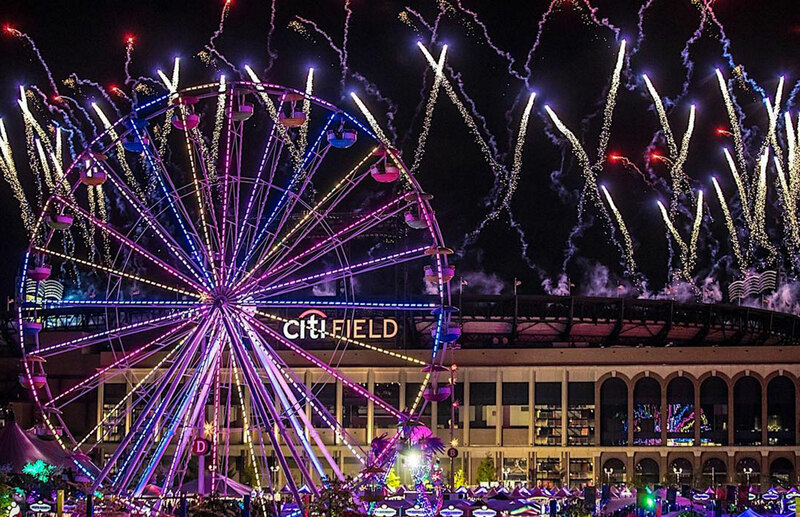 The colorful and vibrant Electric Daisy Carnival filled the Citibank Field on May 14 & 15 in New York City. More than 40 artists from around the world traveled to the two-day event to perform for 79,000 brightly dressed attendees. 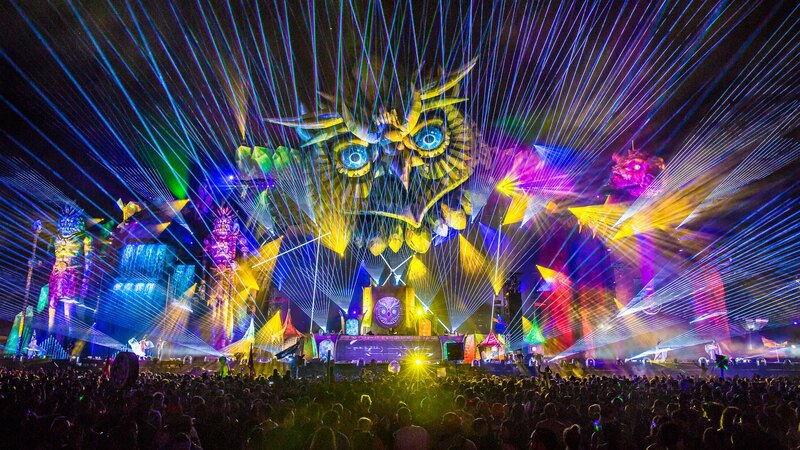 Big names like Zedd, Kaskade, David Guetta, DJ Snake, and Dillon Francis, as well as up and comers such as Alison Wonderland, Mike Saint-Jules, and Sleepy Tom performed across four different stages well into the night. Along with live music, including performances on the ‘Boombox Car,’ festival goers had access to local food and beverage stands, carnival rides, and a ferris wheel that provided a bird’s eye view of the entire festival. VIP guests also enjoyed new additions to the carnival such as a speakeasy serving craft cocktails, complementary Sunday brunch, food trucks, giant board games, and a ball pit. The event partnered with Horizons National, a non-profit organization that provides local summer learning programs to low-income students every summer across the U.S. Part of the proceeds from the event will go to Horizons’ arts education program. On Sunday, four female DJs took the stage; Lauren Lane, Nicole Moudaber, Hannah Wants, and Alison Wonderland. Lauren Lane started off the day at the neonGARDEN stage with an hour long set, pumping up the crowd that came running in as the gates opened. Later in the afternoon British DJ, Hannah Wants, took the cosmicMEADOW Stage. The Birmingham artist was named Best Breakthrough DJ by DJ Mag and Mixmag’s Best Breakthrough DJ and Star Of The Year in 2014. Allison Wonderland during her set at Electric Daisy Carnival in NYC. 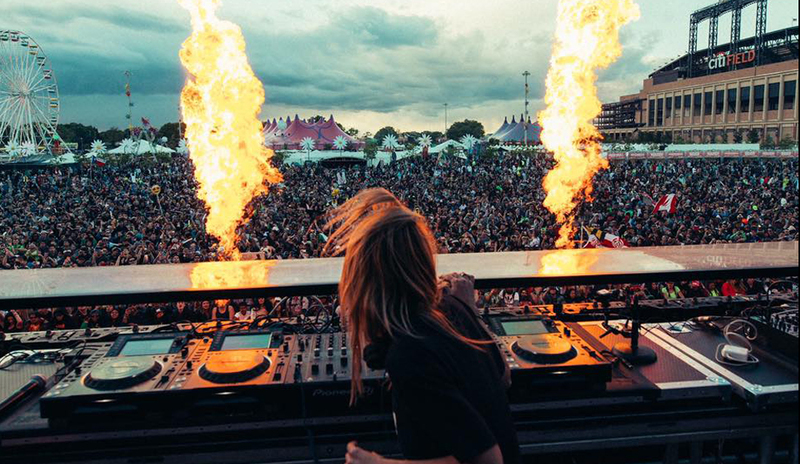 Alison Wonderland followed Hannah Wants at the same stage later in the evening. Her set featured tracks off of her album Run which was released last year. Even though the weather was a little chilly and overcast, the finale of Wonderland’s set was amplified with by a rainbow, peering out of the clouds. Nicole Moudaber ended the night for the ladies back at the neonGARDEN stage directly after Alison Wonderland’s set. The Nigerian born DJ has a lot of titles under her belt including producer, event promoter, radio host, and record label founder. Her record label, Mood Records, was founded in 2013 to promote her own music as well as others who share the same style and deep appreciation of techno music.